Time to kick over the entrails of the pre-season that’s just concluded for us. This time last year (here) and again the year before (here) I did a summary highlighting a few key numbers relating to our FBD campaign. Here, then, is a three-in-a-row of sorts, with the numbers for 2016 nicely packaged together in the table set out below. As will become clear in a minute when I start dazzling you with statistics, this year’s FBD campaign departed a fair bit from what we saw last year and the year before in terms of players used and how we used them. This year only 26 players saw action over the three games, down markedly from 2015 when a total of 35 got onto the pitch at some point, with 32 have done so in 2014. The amount of sifting and shifting from one game to the next was well down this year too. This year five players – Jason Doherty, Jason Gibbons, Darren McHale, Mark Ronaldson and Keith Ruttledge – started all three matches. Last year a grand total of zero fell into this category while in 2014 the number of ever-presents from the throw-in over the three matches was four. The same goes in relation to the number of players who took some part in the three games. This year it was 13, last year it was seven, in 2014 it was just five. A notable feature of Pat and Noel’s FBD campaign last year was that every single one of the 35 players used over the three matches started a game. 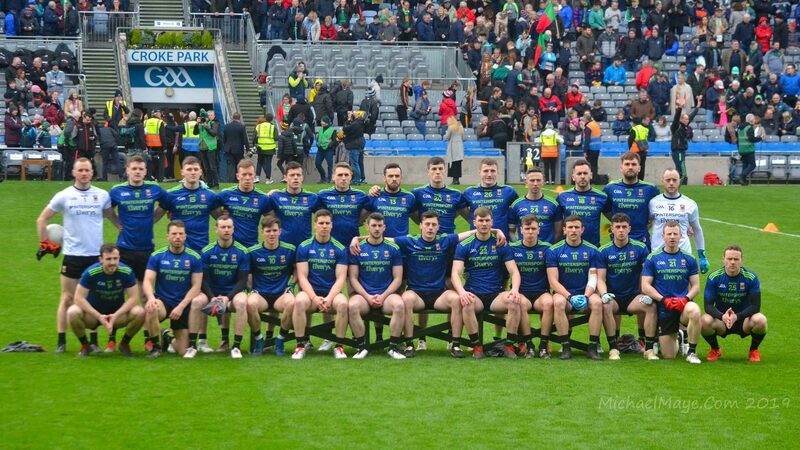 This year, three players – Mikey Sweeney (against NUIG), Lee Keegan (IT Sligo and Roscommon) and Diarmuid O’Connor (Roscommon) – only saw action off the bench. In 2014, the corresponding figure was four. There’s no need to labour this point any further. Clearly, we did far less experimentation over the three January games than we did either last year or the year before. But that’s no surprise, given that the number of players who were injured or unavailable this year was so high – the Mayo News last week put this figure at 26, i.e. an entire match-day panel. If some or all of these players were available then it’s reasonable to conclude that a good number of them would have seen at least some game time over the last few weeks. But there is one constant from this year compared to last – Kevin McLoughlin (with 2-6) was our highest scorer. Last year he managed this feat with nine points, which, like this year’s total, was bagged from just two appearances. Spookily, our aggregate total scored this year, 2-38, was exactly the same as the 2015 total, which compared to 3-28 (I know, you might need to stop and look at that one twice) in 2014. Our aggregate conceded this year stood at 1-31, an improvement on both the 3-29 we left in (as the Cork lads put it) in 2014 and the 3-27 we conceded in 2014. And that, really, is the sum total of what needs to be said about this year’s FBD numbers for us. 66% reduction in goals conceded, if that trend continues we’ll do the double!!? With so many players club tied we were limited in our choices for selection. I was very surprised to read that A Freeman was away on holiday given the amount of game time he received in 2015 I would have expected that he would have been chomping at the bit to impress the new management with the injuries to the other forwards in the panel. WJ Thanks for the. 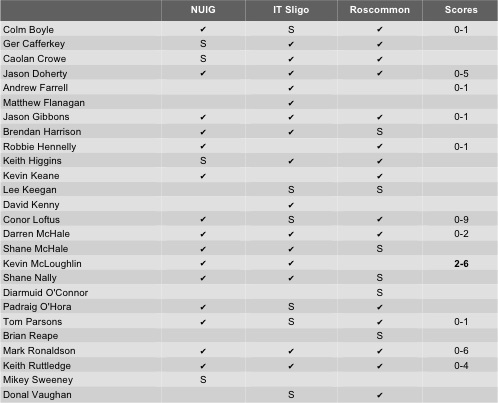 McLoughlin is a massive part of this team, as is Colm Boyle. I hope they can find a role for Freeman in the league, another player with a lot to offer. As I read it our U21s will be having a replay with Donegal on Saturday in the NW Cup final. Fermanagh beat Sligo in their postponed game this evening but their 9 pt win leaves them a couple of points behind Donegal in scoring difference. I think both Hollymount/Carramore and Ardnaree are also in action on Sat in their All Ireland semis. And, unfortunately, we have nothing to do on Sunday. Good luck to all on Saturday and hopefully no injuries. Agreed, My Ball – players are well entitled to take a holiday whenever they get the chance to do so without having this being questioned here. This a great opportunity for the U21’s to win a final against a team they previously lost against , have to say this northwest cup is a great initiative. What is the venue for the U-21 game? It’s at the Sligo Centre of Excellence, Inbetweener. I’m just doing a quick post on Saturday’s final now, it’ll be up on the site shortly. Most important players in Mayo Team for year ahead are Keegan, Higgins, AOS and Cillian. If those guys stay fit and play to a high level in the big matches Mayo have every chance.